EAW002163 ENGLAND (1946). The town and Toddbrook Reservoir, Whaley Bridge, 1946. This image has been produced from a print. 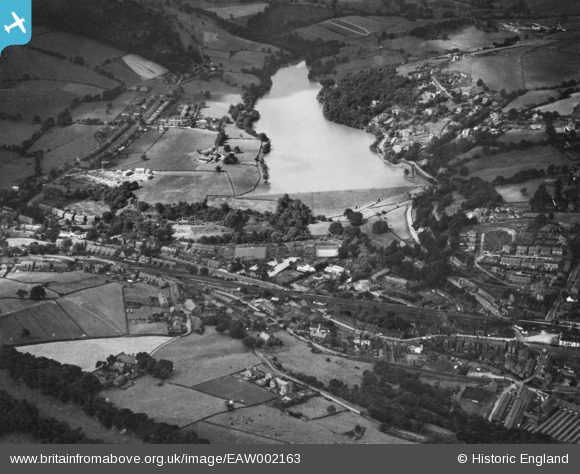 Title [EAW002163] The town and Toddbrook Reservoir, Whaley Bridge, 1946. This image has been produced from a print. Whaley Bridge Incline, last used 9 April 1952. By 2017 a well-maintained footpath. Macclesfield Road (B5470), towards Rainow & Macclesfield.